Historically used to support the female reproductive system, Blessed Thistle contains sesquiterpene lactones which benefit the digestive system and liver function. Additionally, it may also increase milk flow in breastfeeding women. 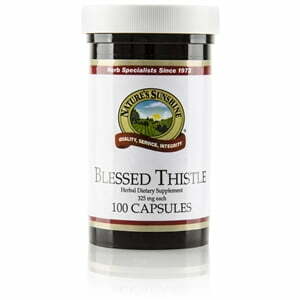 Nature’s Sunshine Blessed Thistle comes in 325 mg capsules.